Quite possibly no other component of digital marketing has been as subjected to the imaginations of conspiracy theorists as SEO has. Almost every year, new claims come out about the death of SEO which are then consequently debunked by experts in the field. But this time, the assertion isn’t coming from marketers pushing for more PPC campaigns, but from concerned content creators themselves. So why are experienced professionals in the field worried that 2019 could signal the death knell of SEO? Here are a couple of factors that might explain their fears. This feature is great for users who can now get their queries answered faster, but for a website? Not so much! Since the user already has the answer to their question, they might not feel the need to actually click on the website. What this means for content creators and website owners is that while their search rankings might improve, overall organic traffic to the website might not grow proportionally. Businesses, understandably, want users to visit their website for all information related to them. This is especially important for local businesses such as restaurants and cafes since purchase intent is typically higher for local searches. However, Google might be hoarding most of this traffic for itself. If a user searches for cafes or restaurant, for example, their search results today looks very different than it did just a few years ago. In the past, they would see a restaurant listing when searching for ‘Chinese food near me’, click on the website link that appealed to them and check out the menu and contact details on their website. Today, while they will still see restaurant listings, clicking on one will take them to Google Maps and not the restaurant's website. Of course, a user will still be able to utilise the information provided by Google to visit the restaurant or make a reservation (and thereby convert into a customer). But a business’ website might have less reach and decreased organic performance. For the last few years, a mobile-first approach to SEO (and almost everything related to digital marketing) has been adopted by marketers everywhere by implementing strategies like AMP. The number of mobile users and mobile searches have also been on an upward trajectory in the last few years, underlining the importance of mobile SEO. However, recent statistics about the nature of mobile searches have emerged, making marketers wonder if mobile SEO still has the same ‘do-or-die’ effect that it did a year ago. According to Rand Fishkin of Moz, mobile no-click searches have grown by 11 percent, almost 2.5 percent higher than no-click searches on desktop. With these seemingly gloomy numbers, it’s no wonder that websites and brands are worried that they might be losing out on a chunk of their organic mobile audience. Voice search can be interpreted as both a boon and a bane for marketers. On one hand, it’s a growing new platform to make their brand more visible to users and one of the biggest digital marketing trends of 2019. On the other hand, no-click searches are most prevalent on voice search. For brands and marketers, this poses a unique conundrum: is voice search worth ranking for or will it provide absolutely no value in terms or traffic and brand awareness? But does this mean SEO is dying? The simple answer to that question is, no. With SEO, when one door closes, another opens. There are certainly many facets of SEO that are dead or dying today, but that has always been the case since its inception. As users, platforms and Google’s algorithm evolves, SEO needs to adapt to keep up. Instead of getting bogged down by all the alarming statistics being thrown around about the end of SEO, marketers should instead focus on realigning their SEO strategy in the following ways. If there’s one keyword that Google cannot steal traffic from, it’s searches for your brand. For example, if a user were to search for just ‘digital marketing companies in India’, Google would first list out map listings of companies. However, if they were to directly search for ‘Social Beat’, none of Google’s SERP features would show up to distract them from clicking on our website. Going forward, therefore, brands need to focus on building the strength and volume of branded searches if they want relevant traffic on their website. Most keyword research today consists of analysing keyword volume and difficulty alone. But with the new SERP features, high volume keywords don’t necessarily guarantee high traffic from them. To counteract this, content creators should include a third dimension when choosing keywords to optimise their content with: CTR percentage. By carefully choosing a keyword that has a high click-through-rate, content marketers can be assured that they will be creating content that will drive organic traffic to their website and not just adding to Google’s no-click search percentages. You can do a simple CTR analysis through most keyword research tools. In this example, we used Ahrefs to dig deep into our focus keyword, ‘digital marketing blogs’. According to the results that the tool gave us, this keyword is worth trying to rank for as 65% of those searching for the keyword have clicked on a result. In the case of SERP features, content marketers are better off following the adage, ‘If you can’t beat them, join them!’. A featured snippet, can either steal traffic from your website or increase it depending upon how you tailor your information for it. If a user can get all the information they require for their query from the snippet without having to actually click on the link, chances are they aren’t going to visit your website. But if you can offer users just enough information and intrigue them so they click on your link to read more, then the featured snippet can be the most powerful tool in your arsenal to drive traffic to your website. For example, if a user knows that this list includes 10 mobile wallets, but the snippet only displays a few of them, they will be more likely to click on the link to read the full list. Creating 10x content and using long-tail keywords have always been the cornerstones of modern SEO, but they were never more important than they are today. The goal for content marketers today is to create in-depth content on nuanced topics that cannot be pigeonholed into any of Google’s SERP features. Essentially, the longer a keyword is, the greater the chance of your actual website ranking for it and not an answer box or any other feature. Even if parts of your content can snag a featured snippet, it should offer your audience several useful elements that they need to click on your link to explore. The demand for interactive content is on the rise and thankfully, Google hasn’t found a way to display interactive tools directly on SERP yet. Tools like calculators, interactive maps, planners and more can drive organic traffic to your website and offer immense value to your readers. If SEO is dying, then the one thing offering it CPR is pillar content. This unique comprehensive content format has created waves in the SEO sphere, promising almost an instant surge in traffic and even several high-quality leads. The secret ingredient that makes pillar content so powerful is that it is linked to several related articles within your blog, providing instant link juice to each of them. Because of this, organic traffic to your blog and overall website improve dramatically. For example, we created a pillar for our client Shriram Properties on ‘A Complete Guide for First-Time Homebuyers in India’. Within a matter of weeks, it started ranking for over 1000 keywords in total and for 100 keywords on page 1. Achieving similar results for a regular page within such a short time span would have been close to impossible with a regular page. If there’s one thing that has stayed constant in the ever-fluctuating landscape of SEO, it’s that meta descriptions and titles can make or break your organic traffic. These two elements are the simplest, yet most crucial aspects of SEO. If all your hard work has helped your content reach Page 1, but the title and description aren’t compelling enough for users to click on it, your traffic is unlikely to show any improvement. It is also important that content creators don’t get disillusioned by the variety of SERP features available today. A study by Ahrefs found that featured snippets get only 8.6 percent of clicks, while the next result gets 19.6 percent of the clicks! So even if your brand has lost out on the featured snippet, it doesn’t necessarily mean that your organic traffic will drop because of it. Instead of putting all your eggs in a single basket, barnacle SEO offers you a way to spread your chances to drive more traffic and increase brand visibility. Today, ‘aggregator sites’ are more visible on Google than they ever were. These sites, for example, Zomato, Urban Clap and Little Black Book, list companies and services on their website. If a user were to search for best massage parlour in Chennai, their search results are most likely to throw up aggregator sites and not individual massage parlour websites. Is this disheartening for individual businesses? Not necessarily. Trying to compete with aggregator sites will be a David vs. Goliath situation since these sites are typically larger and have a higher domain authority. Instead, businesses should try to get featured on aggregator sites to make their target audience aware of their brand and increase traffic to their website. Getting featured on a compilation can also increase the brand’s credibility in the eyes of the user. With all the panic about Google’s CTR shrinking, many marketers tend to forget the second largest search engine in the world: YouTube. YouTube is beneficial for marketers for two reasons: 1. It’s a new platform to reach out to users and 2. It can help brands rank on Google as well. The number of subscribers and video views on YouTube is growing exponentially - particularly in India. If you are finding it challenging to rank for a relevant keyword on Google because of high competition, YouTube could be an excellent way to circumvent this. You can read our in-depth blog on YouTube SEO Tips: The Secret Sauce to Ranking Your Videos to get started! The second reason to optimise your videos for YouTube is just as important. One of Google’s SERP features is video listings pulled from YouTube that are related to a search term. If your brand is able to create a video that also ranks on Google’s SERP, then you will automatically be able to increase visibility and awareness of your brand. This strategy is a great way for marketers to beat Google at its own game and use SERP features to their advantage. You can also check out our video on 'YouTube SEO: 8 Powerful Tips to Help Rank Your Videos'. To avoid being left behind in the voice search wave, marketers need to optimise their websites and brands to appear for voice queries. This can also help them reach out to new internet audiences, those who are from tier 2 and 3 cities and are more comfortable using voice than typing out a query. If there’s one thing that hasn’t changed, it’s that content marketing backed by continuous optimisation still has the highest ROI compared to any other type of campaign. By getting an early head start and implementing these elements in your content strategy before your competitors do, you can cement your position on Google’s SERP. Creating a blog has become very important for every business. The actual challenge, though, comes when you are faced with the Herculean task of making your post pop up on the top page of all leading Search Engine Result Pages (SERPs). Search Engine Optimisation (SEO) plays a pivotal role in spiking up your web page's ranking and making sure it receives the exposure it truly deserves. Read on for some foolproof techniques to optimise your page and drive all your targeted traffic right to it. You may also find it useful to view the Digital Bytes knowledge series on the Social Beat YouTube Channel. As per Google’s algorithm, the length of the title tag should be 55 to 60 characters. If it crosses this limit, only the first 60 characters will show up in the SERPs. So ensure that the title is crisp and conveys everything it needs to in the first 60 characters itself. Meta descriptions are often used to give us a brief explanation of the blog post. Make sure you include all the necessary keywords in the description. The length of the Meta description is limited to 155 to 160 characters. Similar to the title tag, even if the length of the Meta description crosses 160, only the first 160 characters will show up in the SERPs. How Google displays your result determines whether people want to click on your listing or someone else's. The snippet is your opportunity to say, "Come click me instead of those other guys." If you can optimize this, both from a keyword perspective using the words and phrases that people want, as well as from relevancy. Google identifies web pages mainly by the URL and the title. So, to rank higher on Google, you need use your focus keywords on your URL. Additionally, try making your URL as short and sweet as possible. Unless your post is an event-based blog, avoid mentioning the year in your URL as Google tends to categorise it as outdated content. This, in turn, decreases your ranking. The heading of your blog post needs to be in the H1 tag and should contain the exact keyword match. This helps Googlebot in ranking your post as high as possible in SERPs. The subheadings of your blog post need to be in the H2 tag. If you are focusing on more than one set of keywords in your post, use the other keywords in your subheadings for better SERP ranking. Once you have completed your keyword research, perform a Google search for those keywords. This will give you a set of keywords, under the top results, titled “Searches related to”. These keywords are called Latent Semantic Indexing (LSI) keywords and are the most frequently used keywords by visitors. Using these keywords in your content and heading will rank your post better. In addition to the primary and secondary keywords that we mostly target in our optimization efforts, the of LSI keywords in the content will help users understand better by getting answers to their problems for the respective search queries and aid in ranking. Keyword Density is the number of times your focus keyword has been used in your content. A high-ranking post should primarily have a keyword density of 1.5% based on its length. All Digital Marketers know that content is king. It keeps the visitors engaged in the post and has the potential to make a post go viral. To keep your visitors glued to your blog, make sure you give out more information in a lesser span of time. Images, videos and infographics are your best bet, as they help in better understanding of the content. Google’s bot should be capable of understanding the content that is on the page in a readable text format. To recognize images and visuals, videos or embeds or anything else that you've got on the page, use them in a way that they are going to help the bot index them. The images in your blog post play a vital role in ranking your page as well. Insert the keywords in the alt-text used to describe the images to make them show up on Google searches and, in turn, rank your page higher on Google. Apart from the fact that your keywords need to be frequently used in your post, the placement of the keywords is also important for better SEO. Use your keywords in first 100 words of your content for higher SERP ranking. Outbound links give Google a better understanding of your content based on the links provided to other web pages. Internal links help in keeping your users engaged in the blog by providing old links related to the current article within the same website. Quality and quantity are both important for good content. A blog post without any one of these will not help in keeping users engaged, which will lead to a decrease in SERP ranking over the course of time. To understand this concept better, let's take the example of Alice and Bob. Alice's blog is ranked in the first position, but her content lacks quality whereas Bob's blog is currently ranked in the 4th position, but his content keeps his users engaged for a long time. Google will analyse this behaviour and automatically rank Bob's blog higher than Alice's due to better content. Using HTTPS for your blog will make it secured. It also helps in increasing your visitors’ confidence and trust in your content. As per the latest Google algorithm, a web page needs to have a good responsive design, to adapt to all platforms such as mobiles and tablets. The speed at which a web page loads fully is of paramount importance. Site speed should not be compromised by data speed. You could have the latest website design, but if your site does not load quickly, you will lose you customer then and there. So improving your sites page speed should be of utmost importance. Content, visuals, and UX are great aspects of a page. But in the case of poor loading time of your web page, the purpose to retain a user is lost. Hence, constantly keeping a close watch on the speed of your website is important. The faster it is, the easier it is for the user the navigate through the site. Robots.txt helps to block unwanted information in the web page. The on-page grader is a Moz tool to ensure your web page is optimised. It gives you a closer insight into the things which need to be done to get a grade A web page. The tool focuses on the following factors to get a higher SERP ranking. Structured data error is a webmaster error. Fixing this error is also one of the effective ways of optimising your website. Though this is not a ranking factor, it helps in eradicating all errors on the website. These errors can be found under the "HTML improvements" tag in "Search Console". These errors pop up when the title and meta description are missing and a duplicate title and meta description is placed on the web page. Once the above-mentioned checklist is completed, you can work on the advanced on-page checklist for advanced content optimisation for more traffic and higher rankings. First, find the related questions appearing in SERPs by using your focus keyword. Then, write the relevant answers for those questions. To understand this better, let's take Alice and Bob’s example again. Alice is ranking in the first position but she didn’t answer any related questions. Bob, on the other hand, is ranking in the 10th position but he has answered the related questions. So, his website pops up in the top position without ranking and gets more traffic as well. This panel is mainly obtained from human edited data, like Wikipedia. It appears on the right side of the Google results page. While showing results for the focus keyword, Google lists the location on Google maps. So, if your business location is already marked on Google Maps, it is more beneficial for you. Sometimes reviews with stars and ratings are displayed in SERPs when your business is related to products of a particular kind. In 2015, Google began displaying tweets directly in Google results, mixed in with organic results. In open graph, Google displays your results with concerned social media links, like Facebook. Open graph meta tags allow you to control what content shows up when a page is shared on Facebook. Breadcrumbs provide better navigation within the web page. Using this in your blog will also help in better Google ranking. At times, Google will present you with the ability to do a search within the pages of a website, directly from the results page. When doing so, Google will offer a search box under the results description with the word "Search" followed by the name of the website displayed in light grey. To help refine your search, Google may display the featured pages of a site as independent and clickable links within the result. Displayed under the result's description, these links take you directly to a page within the site. Accelerated Mobile Pages (AMP) are an open source initiative from Google that focuses on enhancing the speed of a mobile page. It uses stripped-down variations of a web page to improve its performance and can be identified with a lightning symbol in the top right corner. If your blog page has AMP, it will load extremely quickly. Since page speed is of utmost importance, AMP is crucial for all blog pages. A 404 page is what your target audience lands on when they click a broken link. This is a non-existent page. Your server will throw a standard 404 error, however, that is not the most attractive one for users. A custom 404 page can be branded with your site to provide helpful information. Listing your business with Google is a great way to ensure that people can see you on the internet. This helps with local SEO and when we build backlinks in specific regional listings, Google will understand which region is targeted. Social bookmarking sites are the best way to promote any website, event or brand in a shorter span of time. Marking a link to social bookmarking sites plays a very effective role in creating traffic and getting higher ranking in SERPs. Some of the most popular social bookmarking sites are StumbleUpon, Scoop it, Reddit, Youmob, Pearltrees and Savenkeep to name a few. Profile linking websites have improved the level of engagement of users. They offer much better distinctiveness and enable the visitors to interact with the website in an easier manner. Profile creation is a method which offers a brand new strategy to SEO professionals for the best SEO services and link building services. They also significantly provide a more substantial perspective to present creativeness as well as improved the interaction standard of audiences. It is extremely simple to make a "Dofollow" profile backlink. High PR classified submission sites are an easier way to generate leads and promote your products online. Classified submission sites are very effective for link building, boosting the ranking in search engines and generating more leads for your business. There are lots of benefits in using PPT sharing sites. You can easily share your PDF files online on these high PR PPT submission websites. These highly authoritative PPT Sharing and submission sites are frequently updated on a regular and daily basis. That's why search engines like to crawl these sites more often. Getting do-follow backlinks from PPT submission sites will get your targeted keywords optimised, and it will help in increasing your site visibility in search engines. Quora is a great way to drive traffic and get backlinks to your blog. The Quora community consists of an incredibly large number of users discussing a wide variety of subjects and topics. If you haven't yet, then you should join Quora right away and start participating in discussions. You can start replying to questions and mention a post of your blog or the homepage of your blog, as long as it is relevant to the question. Question and answer sites are great to get some relatable insight into issues which are too specific to perform a Google search. For example, if you want to know the reviews of a product, you can Google it and get a pool of information and a wide range of websites to refer to. This information might tend to get too generic and may not be able to address your concern to the point. Question and Answer sites, on the other hand, give you a more personalised response based on other user experiences. However, it does have a drawback of not providing certified information, like in the case of medical scenarios. Nevertheless, it is a useful platform to get relatable responses from users based on prior encounters. Building backlinks by commenting on other relevant websites and get the benefits of both traffic and rankings. Steal your competitor's backlinks by using tools like Ahrefs, Semrush, Majestic and SEO Spyglass. Spying on your competitor's backlinks can give you an idea of what domains are linking to their posts and thus you can target those sources too. Backlinks can bring in highly targeted, valuable traffic from referring websites. Backlinks are great for branding in the sense that they get your target audience familiar with seeing your brand associated with the products or services that they are looking for. Backlinks give the impression that you're an authority in your given industry. SEO is an ever changing, however, these On-page and Off-page SEO techniques will help you stay ahead in the game and help your blog rank. One page websites are becoming the talk of the town as many companies are switching to these. But what do they mean? Are they search friendly? What should you do to rank them high on Google? You will have all such questions. So let’s take them one by one. What is a Single Page Website? Mobile responsiveness is better as scrolling works for the mobile phone and the user experience is simple and efficient. You can show the entire journey you want the user to experience through a single page. You can incorporate a lot of images to make it visually attractive. Excessive scrolling can be a challenge if there is too much content on a single page. Website speed is an extremely critical factor. Depending on how the site is built, the load time can be longer. Difficult to measure, which content section drives visitors to your web page. One page web pages are not user-friendly for blog-centric companies. Not great for SEO as you only have the opportunity of one URL showing up in search results. How to rank Single Page Website? Since it is a one-page website, your content needs to be extraordinary, with a lot of images for the audience to be hooked on to it. However, make sure there is enough content, and the readability is not compromised. Also, keep the content updated and fresh, as that is what Google loves. You can keep a navigation bar for various sections on the top so that the visitor can directly jump to that position rather than scrolling through the entire page. One of the best practices when it comes to coding for a one-page website is to have separate div for different content sections. It makes the code look organised and neat. These div id names do not directly improve the search engine rank but help indirectly through the anchor tags. Anchor links will help the visitor navigate to a particular portion of the web page. These will create search engine friendly URL on your web page. You can also create anchor text backlinks on the site, on your blogs as below. Paginate your content using various H1 headers and forms. This technique will control the flow of information, and they will also act as keywords for our page. Hence they will help in SEO. You can also look at our detailed blog on the On Page SEO factors that matter to see how you can employ some of these techniques for your web page. Social media does matter for SEO, and hence it is a good idea to link to various social media platforms so that you can reach out to a larger audience for online marketing. You can also implement various other link building methods, which are listed on our blog. Bounce rates could be high for a single page website because Google Analytics will not account for numerous page views unless you refresh the page. Single page websites may not be useful for every business, but they are quite appealing and create unique user experience altogether. You can use such tricks to rank your page higher. Do share your views and suggestions in the comments section and if you have more hacks to rank the single page website higher, feel free to share with us. Effective Keyword ranking is a never-ending mystery and one that every SEO professional thrives on exploring. The technique of scratching through SERP evolves every year with Google’s ever-changing algorithms. Success over this depends on a rinse and repeat the formula that is slow, to begin with but pays off well in the long run. Stay strong on the fundamentals of SEO and focus on the changing scenarios and latest features that fetch you benefits on SERP results. 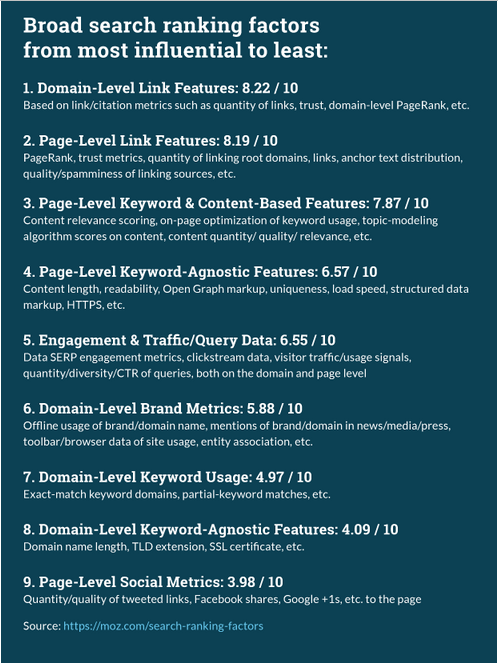 Here is a list of on-page elements that every SEO professional would need to know in 2017 to leverage most out of SERP. Speed is crucial for a website; better loading websites tend to have better engagement. Google also considers speed as a ranking signal and gives fast-loading websites high priority in ranking order. Apart from having a small ranking advantage over slower loading websites, speed also gives your user a pleasing experience that will lead to better conversion probabilities since every single factor is interrelated to each other. Fixing speed on your website is going to help you make your website more SEO friendly. Google has introduced an “Accelerated Mobile Pages” feature which enables mobile optimized content load at lightning speeds. Google has not officially declared that AMP as a ranking factor but it clearly has an aesthetic advantage in ranking over pages which are not enabled with AMP. The historic ranking data shows that content which is long tends to rank better on Google SERP. At an average, content which ranks on the first page have 1890 words. This correlation may be because long content tends to have greater user engagement and gets a lot of social shares as well. Another fact that supports the statement is that longer content has greater topical relevancy and enables Google to understand the content better. Here is an excellent article on ways to create content that is 10 times better than the rest, what is popularly known as 10x content. Building trust with Google helps you achieve your goal of ranking higher on SERP. Enabling SSL certification on your website and shifting to HTTPS makes Google understand that your website is safe for transactions and highly secured. Thus, enabling SSL for your e-commerce site gives a slight advantage in ranking as Google always prefers to give its users a trustable and credible user-experience. The traditional SEO formulae “Content is King” suggests Google still loves to rank good quality content that is very relevant. Creating highly relevant content to your topic is going to give you a slight advantage in rankings. Descriptive longer content with images gives you better user experience. Keeping strong focus on informative, quality content generation is going to give you the upper hand in Google's rankings. Schema is a set of semantic codes that you put on your website enabling Google to fetch relevant information related to your content based on the user query. This query has been put into a debate and is yet to arrive with a clear-cut conclusion. But data suggests that websites that have implemented Schema have ranked four positions better than ones without Schema. We cannot conclude that this advantage in ranking is just because of Schema, but there is a correlation found. Research also suggests that websites that have implemented structured data using Schema have better click-through rates than ones without Schema. It is found that on only one-third of Google’s searches has been using Schema. Snow is going to be the right time to fetch benefits of Schema on your website even if it’s negligible. Google loves fresh content and places trending topics on the top of its search. Your queries need to be fresh and concentrate on News, Blogs and Trending stories. 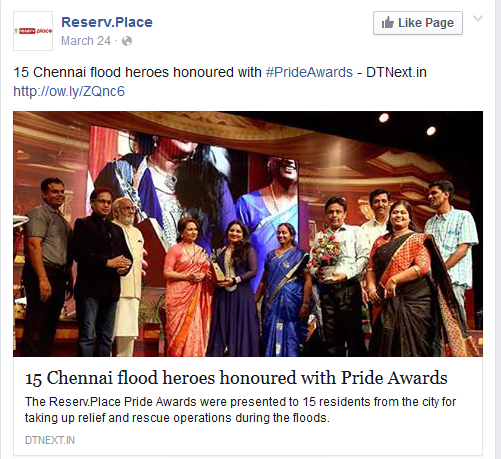 For example, when there something happening in Chennai, the first news appears in 15 minutes, and the first query occurs in an average of 2 seconds. To yield the benefits of a query your SEO needs to focus on building content around trending topics and news. The faster you are, with more relevant, high-quality content, the faster you website gets. With trends revolving around voice search in the US majorly and spreading across the rest of the world, Google has given preference to content that answers queries on SERP. Thus, building content based on questions that your user may ask also helps you get more website traction. Heading tags are the basics of SEO, and it still has great priority in Googles list of ranking factors. Heading tags is assumed as the key for the content on your webpage, and it should have your target keyword for the particular URL. The heading tags are intended to distinguish headings and subheadings on your content and tags H1 to H6 go in the order of priority. Search Engines normally show H1 to H3 on your content. Google’s Statistics reveal that 85% of total searches happen on mobile, so having a mobile responsive web design has become inevitable. When you don’t have a mobile responsive web design, you risk losing traffic. Google’s Ranking Algorithm has given high priority to website designs on SERP. Google’s focus has also been on Accelerated Mobile Pages, which enables web pages to be super-fast on mobile devices. It’s a must for mobile first approach on search; the strategy is going to work for both the present and the near future of searches. Optimizing the title on the Meta tags has been another factor around the fundamentals of SEO. Focusing your exact match keyword in the title gives you a moderate advantage in rankings on SERP. Thus having a clear cut hierarchy for your website content, and focusing on unique keywords for every relevant landing page, is going to help search algorithms identify the content they need to rank for a particular keyword. The concept of interlinking is a strong tool to tell Google which content is critical. It also helps you to bridge the gap between your most authoritative content and your most valuable content. The key for interlinking is content; the more content you have the probability to interlink is more. Interlinking is going to give your user additional relevant information on a site and ultimately going to boost your engagement rate. Google also identifies the hierarchy of your content based on how it is interlinked; making it a ranking factor you need to add to your On Page Checklist for 2017. The tools and trends of SEO will evolve and get better every year. 2017 holds promise for more refined SEO techniques, so sharpen up your skills and give your website a big ranking boost for the years to come. Do you know any other important on-page SEO element? Feel free to share in the comments below. What Type of Content My Target Audience Will Find Engaging? Content is King; a statement that has held true since the age of advertising. Like all great things, content marketing has evolved and improved over time. Gone are the days when brands would simply pin-up posters of their products in any given location to try and entice consumers. Take the above ad for example; published in 1958 by David Ogilvy’s company, the ad created a sensation among Americans of that era, and greatly pushed the sales of Rolls-Royce. Reading it today, you may find it hard to skim past the long content, but Ogilvy utilised one of the most powerful elements in advertising that still holds high regard today: Audience Engagement. He did so by using a powerful Headline that was able to connect well with the emotions that the Target Audience felt at that time (the posh society of post-war America). Flash forward 6 ½ decades, Ogilvy's methods of engagement are still applicable but have been morphed to fit into the current scenario of an internet and technology savvy world. Content marketing is an advertiser’s new best friend; 71 percent of consumers today feel bombarded with ads on social media. Instead, they want more than just a flashy product commercial; they want an experience, a little taste of what to expect. Content Marketing can achieve that by creating and distributing valuable, relevant and consistent content. The method also adds a layer of trust in Target Audience, Creating what brands crave the most: Loyalty towards their products. Since this is an extensive article we’ve split it into sections to make it easier for you to navigate and read through. Why must you implement a content marketing strategy? The fact that content marketing gives you an open playing field to mix and match with various content forms over a multitude of platforms, there is a big chance for your brand to generate leads, improve sales conversion and ultimately get closer to your Target Audience on a more personal level. Everyone hates a pop-up ad; they're annoying, disorient you from an online experience and are generally considered as spam. Content marketing provides a more genuine, trustworthy advertising approach, one that actively induces consumer interaction. Without SEO, anything you publish online will be lost forever in the massive sea of stars that is the World Wide Web. Content marketing has proven to be an SEO friendly marketing method, and provides credibility with boosting organic traffic. Imagine seeing the same ad over and over again as you scroll through your Facebook feed. It can get annoying to the point where consumers lose interest in what the ad is trying to communicate. With content marketing, marketers can keep the essence of the ad fresh while varying the way the ad is presented. Pretty much self-explanatory in its naming, Infographics is a presentation of data in a visual way. The concept is widely popular among readers, and gives license to creative freedom in graphical presentation, adding loads of value to the written content. Being a more comfortable way to consume information from, Infographics are likely to be shared three times more on Social Media than general content posts. Short and sweet, Memes are one of the easiest content forms you can make. But bear in mind that they are not used for information, rather for entertainment. If done right, memes have a high chance of going viral, as consumers love nothing more than to share something outright hilarious. If a picture is worth a thousand words, then videos are worth a million. No matter what you are promoting, there are always ways to present in on the screen. Videos have proven to be one of the most searched forms of information or entertainment, so to give your SEO a big boost, consider making one that is relevant to your brand, product or service. Guides are a detailed form of content and specifically meant for sharing information. Guides work well for SEO purpose as Google's crawlers are now paying more attention to long-form content that mixes and matches other content forms. There is a book for everything today, and your target audience is bound to pick up one. Avid readers will love to know how good a book is before they have a read, plus it gives off the impression that you are well versed in your subject matter, adding a layer of credibility to your brand. You can induce some consumer reaction by asking personal reviews. Like books, product reviews will boost your brand’s credibility, and if you engage professionally with services providers and manufacturers that are relevant to your industry, that credibility increases tenfold. Collaborate with influencers who can review your product and add a trust factor among consumers. The age old 5Ws & 1H concept is still effective to date, and a "How to" post is something that is frequently searched. If you are SEO hungry, "How to" posts will help generate the same, as the format takes advantage long tail keyword searches, ultimately bumping up your site ranking. Humans are hardwired to be obsessed with lists. If you make one relevant to your product or service, chances of it being read are very high. Lists are everywhere and can comprise of anything, and Google analytics have revealed that a numbered list (odd numbers count) are the most popular. Nothing spells professionalism better than a good old case study. Need to explain what your product or service is and its impact on consumers? Perform a case study with all those intricate details. Ultimately, you’ll get a healthy dose of credibility and if promoted well, a strong consumer following. The radio may have lost its charm among general audience today, but audio files still hold high regard among commuters who like a good plug and play of useful information. If your Target Audience falls under such a category, podcasts could be a useful medium for some knowledge sharing. Remember, there is no hard and fast rule that you must try every form of content marketing. Instead, focus on adapting and implementing an idea into a select content type. When that idea morphs into a quality piece of content, your Target Audience will evolve from one-time consumers to a dedicated and loyal fan following. No matter what type of content you choose to work with, you'll need a base, a platform on which you're content becomes viewable. In the online world, content representation into three types. Media that is bought and sold for; online advertisements like Google AdWords, Facebook ads, YouTube ads and sponsored content, have shown a very high percentage regarding reach towards the Target Audience, and is also reliant on ROI. Strong reach may increase the chance of a targeted user getting convinced to purchase, yet may not provide a longer, more sustainable impact that permanently etches your brand into the consumer’s memory. Owned media refers to platforms through which your content is promoted. Your Website, Facebook Page, YouTube profile, LinkedIn, Twitter and Instagram accounts are types of owned media. Think of owned media as your virtual office, space for you to actively promote everything your brand represents and connect to your Target Audience in the online world. Since owned media is just a platform, you are free to use it in any way you like for your content marketing needs. How effectively you use it, with your chosen content strategy, will determine the overall reach and interaction with potential consumers. Even if your brand is marketed well online, consumers need to be certain and feel a sense of trust with your product. You can achieve that trust factor through earned media; sharing of social media content, Twitter mentions, blog mentions, product reviews and influencer marketing. Of course, to gain such high level of trust among consumers, it takes time, but also pays off handsomely, in the long run, immensely boosting your brand loyalty. Content marketing isn’t something you could just cook up out of an empty pot. The process requires careful planning and meticulous detailing with a whole host of ingredients blending to make fantastic pieces of share-worthy content on various platforms. Everything begins with an idea. It is from this seed that your entire content marketing plan branches out. To come up with a path-breaking idea you need to do research and lots of it. You achieve great content marketing when you bridge the gap. When you narrow down the points mentioned above, your next step is to hunt for relevant topics that are trending, valuable and share worthy and in some way link to your brand, product or service. Remember, strategies could change even after your content is created and published. Be open to a trial and error method before you push for massive promotions. Much like creating content for that relates to your Target Audience, publishing your content must also have a timed approach. Google Search algorithms and Facebook’s targeted post boosting have made it easier for marketers to preselect a publishing time and date, resulting in better and more accurate reach to the consumers. It is important to optimise content that is share-worthy on mobile devices as well, with a majority of consumers now spending more time on smartphones. With over 27 million pieces of content being shared every day, your content is just a small grain of sand in a huge desert. To make that little grain noticeable among the rest, you need to make the most out of the promotional options available. So how do you amplify your content? Remember, none of these techniques will work wonders unless you connect them with the golden catalyst of content marketing- Search Engine Optimisation. SEO is a broad topic, so we've saved it for another detailed post. Since content marketing is an ever-evolving subject matter based on shifting trends and change in consumer behaviour, there is no surefire successful approach to choosing an approach to your strategy. But, some content strategies work well over others depending on your brand, product or service. Let's look at a few successful strategies. When it comes to B2B content marketing, ultra-professionalism is important. Your task as a marketer will be to convince other business of working with you or using your services. Make sure your content is concise, to-the-point and expresses heavily on your services and the benefits it could offer to another business. For FMCG brands, the content strategy must heavily revolve around consumer interaction. This means marketers are free to explore all sorts of content and modify them in a way that involves consumers intrigued and curious to know more about the brand’s products. With a recent influx of the real estate market in India, developers are making a move into the online space to boost their project promotions further. As always, the competition is fierce, so the best reach towards consumers decides the big winner. Considering how huge the real estate industry is, having an online presence for developer and broker, while also complementing each other’s presence, is vital for the success of a real estate brand in the online space. Lifestyle brands, especially those in the fashion industry, have a mainstay in the digital marketing space. To get better online presence, lifestyle brands must be appealing both to targeted consumers and businesses. We end by quoting a famous line by David Ogilvy, “Never write an advertisement which you wouldn't want your family to read. You wouldn't tell lies to your own wife. Don't tell them to mine”. Content marketing is the most trusted and honest form of marketing and one that is sure to go a long way in establishing a healthy relationship with your Target Audience. Are there any innovative content strategies you've cooked up? Feel free to share the in the comments below. When it comes to search engine optimisation (SEO) and digital marketing for your business, one must pay attention to things beyond just the website, especially if you own a local business. In the past couple of years, digital marketers have gradually understood the importance of strong online marketing efforts that include local SEO and Google Maps (or Google My Business) as well. Read our blog on Demystifying the Basics of Search Engine Optimization if you are getting started on this for the first time. If you think it's enough to just optimise your website to perfection, then you are on the wrong path. Since July 2014, Google uses an algorithm called Pigeon. This is one of the Google's local search algorithm updates. The aim of this algorithm is to increase the ranking of local listings in a search. The changes in the ranking made by this algorithm are also shown in the Google Maps’ results. In other terms, when a person searches for a particular kind of business in a locality, the results will be based on user location and the listing available in the local directory. When a person searches for “bakeries, Egmore" in the query box, he gets a result where there are three map listings and 5+ organic listings. So, even if you have the best website, it might be there at the 8th or ninth position. How many users would scroll down all the way through 8 or more entries to click on the actual website? The amount of people who will reach until the end of the page will definitely be lesser than the ones who would click directly on the map listing or any organic listing. Hence, you must constantly watch these listings and optimise your presence in the map and directory sites. The 3-pack map listings by Google can be a marketing game-changer for your business for these have a highly-valuable exposure, thus generating quality traffic and new customers. Here are some of the best practices that you must follow to implement a successful Google Maps Marketing and Local SEO strategy. No matter whether your business is B2B or B2C, it is important to maintain a local address for your company. This is important to rank in the Google local 3-pack map listing. Also, having a local address is an important search engine factor for local SEO. Google has reported that there is an increase in queries containing “near me” – for e.g. restaurants near me or salons near me. The distance from the location of the user is critical in these searches. This is why adding the locality name after the name of your business can help in ranking. Your Google My Business (GMB) account plays a major role in Google Maps Marketing and local SEO. In fact, your GMB determines and has an effect on your online presence in Google Maps, Search, and G+. Google My Business offers a simple and easy way for you to create a listing for your business. You can also claim an existing one. You must just make sure that all the information listed in your GMB page is accurate and complete. Adding pictures of your business along with videos (especially 360-degree videos) and the opening date of the business can also help your business gain greater visibility. It’s also important to choose the most appropriate primary and secondary categories to list your business under. This can have a direct impact on what kind searches you show up for. Building an effective GMB listing doesn't just end at creating a listing. There are several features you can implement on your GMB listing to ensure it delivers good results. Your GMB profile should have unique content that has all the information your customers might require. Clickable phone numbers are important as they make it very easy for your customers to contact you. Another way to help your customers get in touch with you is by enabling the messaging option whenever possible. Your store hours (opening and closing hours) should also be included as priority information. If you have special timings for certain days (like weekends or public holidays), make sure you specify those as well. Your business' NAP – Name, Address, and Phone Number should be consistent in both your GMB page as well as on your website. Also, make sure that your business' NAP appears exactly the same across the web on third-party websites, directory listings, and social media profiles. These citations, i.e. your company’s NAP in other websites and listings, determine the legitimacy of your business and its beneficial if your NAP is available in various websites. Your business might have multiple products or services. Dedicating a separate web page for each and every type of product and service can help in optimising every page. In other words, instead of over-optimising a single page with a lot of keywords, you can optimise each page of your website with the relevant set of keywords around a theme. It doesn’t mean you need to have a page for every keyword, but make sure each type of product/service and each service area (i.e. locations) are covered. Adding your website URL to your Google Maps listing can be an effective way to direct traffic to your page. However, your goal shouldn't be to just generate higher traffic, but relevant traffic as well. One of the best ways to do this is by adding the focus keyword (the keyword you are targeting through your listing) on the web page that your listing directs traffic to. This can help you rank for relevant keywords and provide real value to your consumers. A schema markup helps optimise your listing for search engines. It helps search engines understand what your business is about by speaking in their language. Luckily, it takes minimal effort to structure your listing based on schema markup. There are many tools such as Microdata Generator where you can simply enter your details and they will automatically generate a code which you can then paste in your website's back-end. Be it a citation in Zomato for your business or a mention on another website, you must make sure that the mentions are made sensibly. If you can build citations in trustworthy websites and good listing directories, you can increase the value of your local SEO significantly. 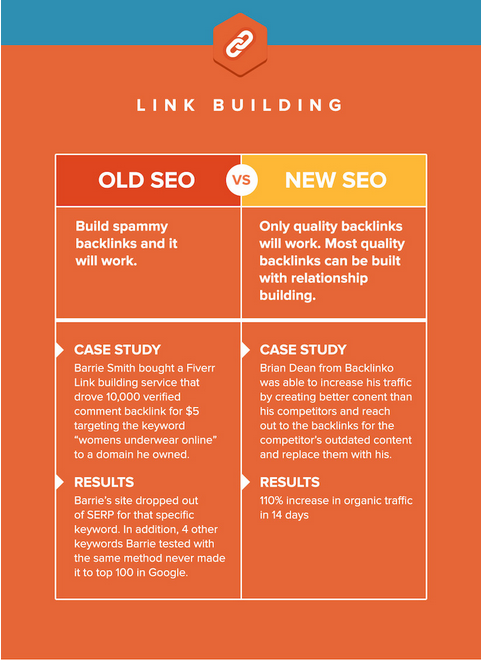 Do also check out our infographic on 21 SEO Link Building Techniques. Make sure that any citations about your business in 100% accurate, especially the NAP. Remove or place a request to remove any duplicate listings in listing directories. Try to build mentions in websites that are relevant to your industries. Reviews in Google Places are a crucial ranking factor for the search engine. Having good reviews in Google will definitely assist you in being listed in the Google 3-pack map listings. You can ask your customers to leave a review. Alternatively, you can also offer incentives or discounts on next purchase for customers who review your service or product on Google. Even reviews from social media channels are now displayed on Google. You may also find it interesting to read our blog on Why Social Media Matters for SEO?. It is important to remember, however, that you shouldn't add to many reviews at the same time because this can appear suspicious. You should embed the Google Map of your business’ location on your website in the “contact us” page. This technique is a proven way to boost the SEO value of your website. This needs to be combined with Local Schema to give Google complete visibility on what kind of business is being run. In recent times there has been a lot of talk on website speed and implementation of AMP (Accelerated Mobile Pages) to ensure that experience on mobile and desktop is fantastic. This is critical even for a local business because blog content focussed on your city or location of business can be crucial in attracting the right audience. For example, one of our most popular blogs is on marketing events in Bangalore and we created this to target marketing professionals in the city when we first launched our services there. Google allows you to add posts on your GMB listing which will show up along with the rest of your description. As these posts have a Call-to-Action button, it can be an important tool to drive traffic to your website. 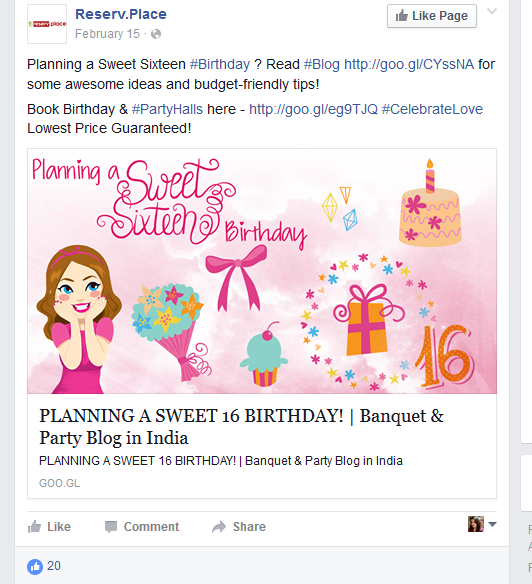 GMB posts can also be used to promote special offers, events and product details. Since these posts automatically expire within 7 days, it's important that you continuously update them. Google and other search engines are starting to not only reward content that is customised to users (in this case content can be customised to a local audience) and they continue to show preference for sites and brands that users already know of. Hence its critical to keep track of how many users are searching for your brand (Google Analytics and Google Search Console can help with that) and not just for the product & service that you are offering. Many business owners have found Google Maps and Local SEO marketing to be intensely helpful and beneficial for their businesses. Have you started applying these best practices? Let us know in the comments below. Optimising your website Google search results is probably one of the most important things a brand can do. This is usually called SEO (Search Engine Optimisation) and is one of the least understood concepts in the marketing world. While SEO has changed over the last 10 years, its fundamentals remain the same and I have highlighted what are the key things to keep in mind when getting started. The first step is to understand what kind of content your customers or users want. You could use the free Google Keyword research tool or a paid tool like Moz Explorer to get a sense of it. We also use interesting tools like Answer the Public, which groups search terms together to give you a better understanding. It might be also useful to use Buzzsumo to understand what kind of content consumers are viewing and sharing via social media channels. It’s important to understand that content here doesn’t mean only written content – it could be in the form of infographics, videos, interactive graphs, tools/calculators etc. 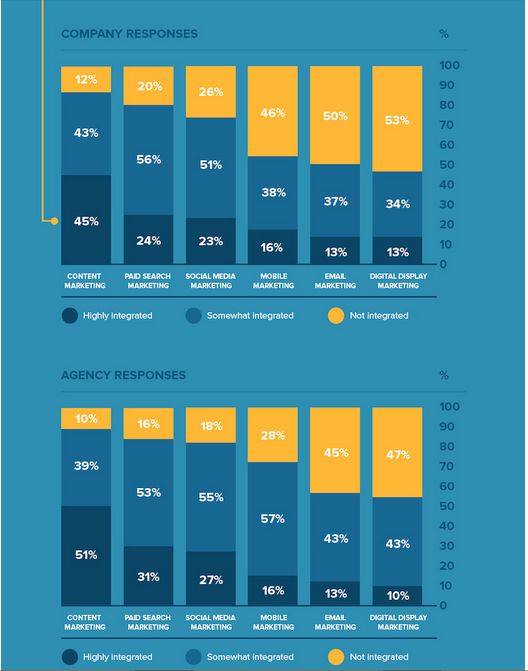 So do the research to understand what consumers are searching for or intuitively would want. Virtually everyone in the digital marketing space has finally boarded the content marketing bandwagon. We know now that creating good content for a brand is the best way to get a good ranking in Google search results. So just writing ‘Good and Unique Content’ should do the trick right? Not any more. Here is a detailed guide on 10 ways to ensure that your content is 10X times better than anyone else. You could also exploring creating content in multiple languages if you feel your users would engage with such content. The content is only as good as the number of people its able to reach. If you create 10X content you are likely to start showing up in search results in a few weeks (8-10 weeks for sites that have been around). Till then its key to amplify the content via social media, paid advertising, social bookmarking as well as link building requests. Social media and SEO are two interlinked strategies as both are organic driven and is dependent on fresh content appealing to the viewers. There is no direct mention by Google that increase in social media followers will directly improve the rankings for a specific set of reason. However, Google always insists on quality links and content rather than the quantity of shares and links. Read this blog on why social media matters to SEO to get a better idea of how to leverage channels like Facebook and Twitter to amplify your content. Social Bookmarking is another way to ensure you not only get backlinks but improve the chance of being found. Quora is also an interesting platform to do that. Lastly, its important to build backlinks as this is one of the corner stones on which rankings improve. Backlink is essentially any link pointing from an external site to yours. Though the number of backlinks is important but poor quality or spammy backlinks should be avoided. It can result in a negative penalty for your website by Google. Influencer marketing can also be an effective tool to get relevant backlinks. One common mistake we see brands and websites doing is ignoring the speed of the website, which accordingly to google is one of the most critical aspects in ranking. They even have new features like AMP (Accelerated Mobile Pages) to help websites overcome this issue. Having a website which is mobile and tablet responsive is again a given today. Users consume content across devices and the websites need to be user friendly across devices too. Brands need to leverage every mobile micro moment of consumers and for that you need an amazing mobile website. This involves some help from your digital team as it requires SEO knowledge as well as technology/development expertise to execute. This includes elements like headings, tags (to allow Google to understand what content/images that you have on your site), structured data (to tell Google what kind of content it is – e.g. whether it’s a receipe or a product review or just a blog article), implementing speed elements including AMP and redirecting old urls to new urls. It’s important to track your return on investment for such SEO activities and we usually do that by tracking not only the rank of your keyword (which is less important these days) but by tracking the growth of traffic from Google over a period of time. It takes about 4-6 months to see any substantive results. Regular creation of 10X content is key to growth in traffic from Google and that should be the focus area on an ongoing basis. The article was originally published at Business Line on Campus, where I write a column called Going Digital. Why are blogs important for every business? Blogs are no longer just an expression of an individual or a platform to share one’s ideas and thoughts. Blogs have started to be one of the most influential and useful tools in the market space. It’s an excellent way to showcase thought leadership as well as keep consumers updated on what’s happening in the company and with the products/services. It is important to note that, in business blogging, the blogs must be related to the key area of the business and needs to be engaging for the readers. That being said, there are still a lot of businesses that are not very active in the blogging in spite of the inherent benefits of blogging. This blog aims to bring out the importance of business blog! A website is a great asset to any company and anything that brings traffic to the site only doubles the asset’s value. The traffic on a website is very crucial, which indeed serves in achieving the objective of the site. One of the main reasons why people don’t return to a brand’s website is because it is idle and inactive. Blogs give the internet users a great reason to visit your site and increase the traffic. According to a HubSpot survey, 60% of the brands who have constant blogging on their websites acquire more customers than the others. Blogs help people or potential customers discover your website amongst million others. This happens when the blogs are informational and also related to what users would like to read from your website. It is also said that blogging shows a professional approach for the brand business. By providing useful information, it attracts people to visit the site even repeatedly. Who wouldn’t like more visitors to their website, anyway? To appear in SERP #1 is a dream! And to get there, you need to really work hard . There are more than 200 aspects which determine your rank in Google. But, nothing like some good content! Blogs are now a vital part of Search Engine Optimization and can be leveraged upon in two ways. One, include it as just an additional index page to your website which Google then identifies and eventually will garner organic search results. Another way is to include targeted keywords and links which will help in increasing the ranking of the site by getting you noticed more in the search results. This exercise becomes easier with the help of SEO plug-ins. By using an SEO plug-in like Yoast which calculates the density of the appearance of the focus keyword in the blog will check whether the right keyword is used on the blog. Research shows blogging increases inbound links by 97 percent, the most important factor in Google’s ranking algorithm. Quality content and regular updates are an indication to Google that the website is active with a routine content flow! Explore some of the latest SEO hacks, here. The ultimate goal for every business, big or small is to generate revenue and blogs help you do that. Regular blogging, as mentioned earlier increases the traffic to your website. Small businesses with blogs are said to generate more leads by 126%. The increase in traffic will result in more people taking note of your business and eventually exploring the rest of your website where all your business services are listed. This is a great way of acquiring customers without bombarding them with self-promotional content. While creating content you should keep in mind that every person who visits your website has the potential to be a customer. When your target audience finds your blog interesting, they may be more interested in your business than they were before and the chances of conversion are higher. Another reason why blogs are important to your business is that they create a huge content value for Social Media Marketing. It is almost mandatory for brands to have an identity on social media and the only differentiation is content. Content defines your brand identity and helps you stand apart from the rest of the crowd. Creating quality content in the form of blogs and sharing them on the social media channels can help get more reach. The number of likes, shares, retweets will testify for your content. Here’s an interesting and informative blog post that was shared on social media for amplification.There are many other ways to amplify your content online. Click here to read about it. Branding is the core element to develop your business. Every business is striving hard to create a brand for them and to make people see them as THE BRAND and not just any brand. Blogging is a huge opportunity for you to build a brand for your company. It is, after all, the most organic method of getting people to notice your brand online. The key is to create a blog which adds value and is unique in its content approach and style. By creating specific, targeted content, you may focus more specifically on your target audience leading to increasing your exposure among people. Learn how Content Marketing is one best way to give your brand an image! A good blog always answers a question, solves a problem or gives something valuable for a takeaway. When a brand constantly shares blogs that are useful to the customers, it develops an authoritative image in their minds. For example, for a group of angel investors, blog topics like- Tips for entrepreneurs, How to grow as a startup etc. along with other business strategies are going to be of some value to their readers. The ultimate aim is that when a user reads your blog, he/she should finish it with some value-addition. When people find answers or solutions on our blog, they are more likely to become your follower and they start seeing you as a source of information. Here are 10 ways to create better content for your readers. It is important for any brand to stay connected with their audience. The underlying factor behind the success of any business is the concern to satisfy the end customer and not just run your firm for money. To do so, brands should establish a good rapport with the customers. To improve on the customer interactions front, brands need to establish higher recall. The question is how do blogs help in this aspect? A higher recall can be established for your brand when you provide knowledge to your consumers and this, in turn, improves the relationship your brand has with the customers. It helps build trust which turns into brand loyalty eventually. In a world where content speaks for itself and does half the job of a brand, blogs are the most crucial thing to look upon as a marketer. When blogging becomes a strategy in your marketing plan, you get a powerful tool to fight against your online competitors. If your company hasn’t started blogging, this piece is an indicator that it should! Was this blog useful? Share your thoughts on other reasons you started blogging! Every brand or website targets ranking on top of search results but achieving the same requires a lot of effort over a period of time. The search engine rankings are determined by a variety of factors. Mobile-friendly nature of your website, On Page SEO, Content quality & freshness, Number of backlinks and relevance to the search keywords are some of them. While there are various tools to help you with SEO, in this article we focus on 21 link building techniques that can play an important role in boosting your search engine rankings and website traffic. Though the number of backlinks is important but poor quality or spammy backlinks should be avoided. It can result in a negative penalty for your website by Google. Today, Content Marketing is the buzzword. Brands are churning out content in large numbers. In fact, more than 27 million pieces of content are shared every day. In such a cluttered space, it is important to create content that is discoverable, sharable and informative to your target audience. Moreover, as Moz points out, “good unique content” is not enough – you need content which his 10 times better than the best content out there. Certain content types like How To articles, Listicles, etc. are examples of Pillar posts that can help you garner a large number of references/links from external sources. Read the BuzzSumo report for more details on this. Influencer marketing is a gaining prominence as an effective marketing channel for brands. For the uninitiated, Influencer Marketing is the new form of word-of-mouth marketing that involves partnering bloggers and social media influencers to talk about your brand – be it on their blog or social media handles. An effective way to leverage influencer marketing would be to get the top bloggers in your industry to review your product/service. Apart from giving you important backlinks, it would also help you create awareness about your product among your target audience. There are many platforms in the industry that allow you to track the top influencers in your industry niche. The other way to use influencers is to co-create content when you don’t have internal bandwidth to create your content. It’s important to keep in mind the user and find the right influencers who can create content for those users. Under this technique, you track the resource pages in your industry and check for broken links using tools like Check My Link. Once you make a list of the broken links on these pages, you can reach out to the page owners with the list of broken links that need to be fixed along with the links to useful resources on your website can be linked to. Visual content grab eyeballs and infographics can be a great format to build your brand and get backlinks at the same time, from people out there are who are looking for informative content in a visually attractive representation. You can also submit your infographics in a whole bunch of infographic submission websites such as visual.ly, infographick.com, bestinfographics.info, etc. If you are looking to create fresh & novel content ideas, Surveys and Industry Trend Reports can work wonders for you. Launch an industry survey in your niche – it can be a simple consumer preference pattern for a consumer brand or an investment survey for a financial services player. Tools like Survey Monkey or GetInsights can let you create surveys in a whiff. They also have many pre-researched survey templates for each industry which can be explored. Create reports, share it in different industry forums, mail it to top experts for their insights before releasing the report and include the quotes / insights in the report if possible, as it adds credibility to your study. For B2B businesses, releasing industry trend reports can be an excellent way to drive traffic to the site and build authority online. These reports have a strong sharability quotient and can garner a large number of backlinks online. Offline PR can also be activated to create more awareness around the release of the industry report. Skyscraper content creation technique involves finding top performing content in your industry and adding more depth or value to the existing content. Once the content is ready, you can reach out to people linking to the existing content and share the link to your article. In order to find best performing content in your industry, you can leverage tools such as BuzzSumo, Topsy or Google Search to some extent. To read more on building skyscraper content, check out this article by Brian Dean. You can write Testimonials for products / services that you have used for your brand with a backlink to your website that demonstrates how you have leveraged that product. It would be better to write a quick case study to add more value to the testimonial. You can curate the top articles in your industry, take interviews of top experts or compile the insights from the latest industry report & convert it into a case study. Once the post is ready on your website, share the link with the experts and let them know you have linked to their content or have published their interview. For content curation, you can make use of tools like Scoop.It, Feedly, BuzzSumo as well as Google Alerts. Apart from gaining potential backlinks, this would also help you make your property more informative for your audience. It signals the search engine that you have more content relevant to the topic, thus boosting the site credibility for the topic. Apart from linking to your own content, you can also link out to expert articles which are ranked on top of search results. This way you are linking and connecting content to sites which already have an established authority in your niche. While linking to external sites, do not forget to use the rel=”nofollow” tag. This tag prevents the link juice from passing on to the external site. Even in this article you see we have linked to the likes of Brian Dean, Moz & BuzzSumo amongst others. Platforms like Quora have rich discussion on varied subjects. You can find topics in your niche and answer relevant questions with reference backlinks to your content articles. This would provide the information to audience who is already looking for similar information and at the same provide you good quality backlinks. Quora also has a blog section where you can submit your existing blog content with a link to the original piece. Search and connect with high-quality portals or websites for guest blogging. If done properly, it can be an effective link-building measure. Avoid low-quality websites or duplicate content as part of the guest blogging initiative. It can result in penalty from Google. Even commenting on relevant blogs is still a good practice in case you are unable to get guest blogging activated. Build an engaged community on Social Media platforms & share your content regularly to amplify the reach of your content. On platforms like Twitter, it is important to share your content multiple times. To prevent repetitive posts, use different post copies, images and stats for sharing. Your engaged follower community is more likely to share or talk about your content. Linkedin has its own blogging feature and you could repurpose your content and publish it there for increased reach. For ecommerce websites even Pinterest can be a very interesting source for quality backlinks and traffic. Last but not the least, ask for backlinks from quality source. For example, if you have great content on Personal Finance, look out for portals which list quality content from different Personal Finance resources and reach to them. If they find your content relevant, they might link back to it. Once they backlink, don’t forget to drop a thank you mail with links to other helpful content which might be useful to them. Tools like Google Alerts, Talk Walker and Mention can help to track the mentions for your brand on the web. Track all mentions for your brand and see if these mentions have linked back to your website/blog. If the backlink is missing in the mentions, mail or reach out on social media and see if that can be converted into a backlink. Track and analyze the backlinks to your competitor websites and check the source of their backlinks. Look at content and pages that have got the maximum links to see if you can produce better content on those topics. Watch out for aggregator sites or industry curators that link to their websites and reach out with links to your content. Platforms like Zomato and Trip Advisor drives millions of visitors to their website daily. Leveraging these platforms in the right way can help claim relevant backlinks and at the same time, drive relevant traffic to your website. Partnering with top reviewers on such platforms (for example – see our list of top food bloggers in India) to seamlessly integrate their reviews / posts with links to your products can go a long way in providing quality backlinks. Forums likes MouthShut.com even have a blog section apart from the review section; you can submit your blog content there with links to the original article hosted on your website. Old backlinks to your website can return a 404 error over a period of time, resulting from a new site or a change in url. Even in case of new backlinking, there is a possibility that the source site might make a mistake in typing the url to your site. You can use online tools to research the broken links to your site and redirect these. Highly recommended for product based websites, submission to feedback sites can help drive lot of traffic to your website & also boost the conversion rates. LaunchSky, Valid8or, Product Hunt, Startup Lift and Beta List are some of the websites that can be used for review submissions. Help a Reporter Out or HARO as the technique is better known as, is an excellent way to get backlinks from news portals. Once you sign-up on the reporter help portals like HelpAReporter, you are likely to get mails with requirements on information the reporters are looking for. You need to respond with the information from your end, along with helpful links if available. Sometimes, websites, in their quest to achieve quick results, resort to negative techniques which are not seen in a positive light by the search engines. I would like to list out some of those techniques which should be avoided at all costs to prevent any penalty to your website. Do a proper study of the directory where you are submitting your website. Simple submitting your directory to a website for the sake of getting a backlink might not add great value to your site. In fact, Google excludes many such directories from its search engine rankings. Checking the Moz Domain Authority & Spam Score is a best case practice. Hope these techniques can prove handy to generate good quality backlinks for your website. In case you know any other method that works well and deserves to be a part of this article, please feel free to comment and let us know. Search Engine Optimisation SEO is critical for most businesses and especially for ecommerce businesses. We did put up a slideshare on the basics of SEO for Entrepreneurs which covers aspects like on page SEO, content marketing & amplification, mobile responsiveness and link building. We always recommend White Hat SEO so its also important to be aware of how NOT to do SEO. In this context, there are various SEO tools out there which can help and one which is critical for On Page SEO in case you are using Wordpress as your CMS is the plugin by Yoast. It is a plugin recommended even for Advanced SEO by most industry leaders including QuickSprout, Moz & more. YoastSEO Plugin is the powerhouse for WordPress search engine optimization. Barring structured markup data and schema tags, Yoast can handle most on page SEO elements. However, setting up this plugin might be tricky for some, and a startup or anyone without basic SEO skills, might find it difficult to configure. An incorrect configuration can stop search engine bots from indexing your website, or you might let bots crawl a part that might not be relevant to your business. The best part is that most of the key features in YoastSEO are free, so let’s get started with the step by step tutorial to set up this free SEO plugin. Clicking on the SEO icon takes you to WordPress SEO by Yoast’s General settings page. You can take a tour here to learn more about the plugin. You can also reset your plugin to default settings from this page. There is a tracking option, checking it will send anonymous usage data back to plugin author. You can uncheck this box if you don’t want to share this information. This is where you will provide information about your site and the person or company behind it. The next option is to choose whether this website is run by a company/organization or an individual person. If you choose company, then you will be asked to provide company name and you can also upload a company logo. On the other hand, if you choose a person, then you can add the name of the person behind the website. If you know a little bit about SEO, then you have probably heard that each of the popular search engines, Google& Bingallow site owners to add their sites using webmaster tools. Webmaster tools let you see insights and other relevant data about your site from the specific search engines. In order to verify your site and see those exclusive data, you have just have to add the Meta code that you received from the search engines in the respective fields. The last tab in general settings is labeled Security. This has only one option which disables advanced part of the WordPress SEO Meta box. We recommend that you leave it checked. Checking it will prevent your authors from making changes like redirects and no index which could create problem for you later on. Titles & Metas section under WordPress SEO has several tabs in it. Here you can configure some site wide general settings. WordPress SEO can auto-detect whether it needs to re-write titles or not. So you can leave this as it is, usually it is unchecked. 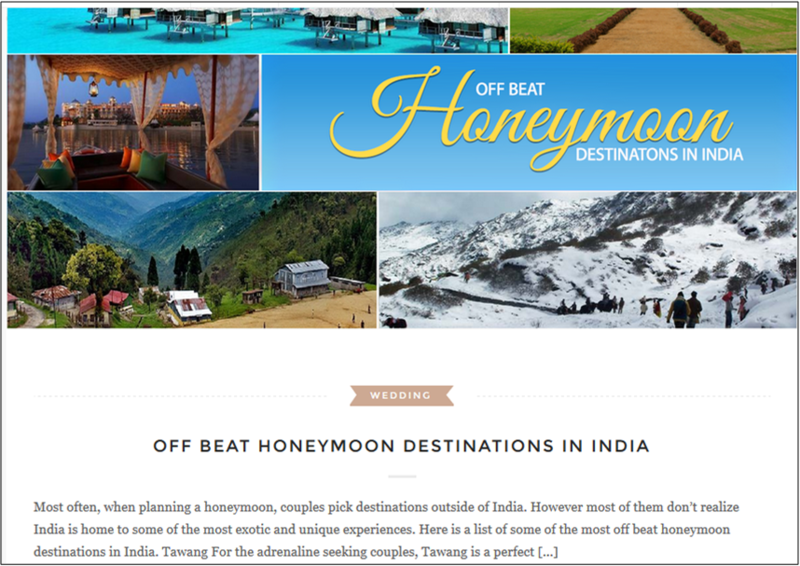 You can also choose the separator used between post title and site title. By default you will see these fields pre-filled with title-template. So what is the difference between a title and a title template, you may ask. In instances like your home page, you may want to create a static title, description, and keywords. But for posts, the title will vary from one post to another. Title templates allow you to define a way that the title and other meta information is pulled and organized. Let’s take a look at the image below for the home page settings. By default the template variables in the title field work fine for most website however you’re welcome to change it. The next option is to enter your site’s description. Once you are done, click on save settings button. For example for our Pages Title Template we had put %%title%% %%page%% %%sep%% Social & Digital Marketing in India. So if the page is Content Marketing the Meta tag would become Content Marketing | Social & Digital Marketing in India. The same logic applies for the description template too. WordPress SEO allows you to set titles and meta for posts, pages, media, and other custom post types. Remember WordPress SEO plugin also adds an SEO meta box in your post edit area so you can always customize the meta title & description for each page and each post. It may not be posibble to manually edit these, especially if there are multiple authors creating posts on your website. So this automated temple does make life easy in such cases. Here you can configure titles and meta for Categories, tags, custom taxonomies, and post format archives similar to how we discussed for Page & Post Title/Descriptions. On the Archives tab you have title and meta settings for author archives, date archives, and special pages such as search and 404 pages. We recommended that you check disable author archives for single author blogs. If you are running a single author blog, then your main blog and the author archives contain exactly the same content. The first tab under the social settings is for all your social accounts. You need to simply add the URLs and Twitter username for the main social profiles of your business. On the Facebook tab, first thing you need to do is check the box that says add open graph meta data. Checking this allows WordPress SEO to add Facebook open graph meta data in your website’s <head> section. This will help Facebook pick up the right thumbnail and page information when a post from your website is shared on Facebook. As for Twitter, you can add Twitter cards into your site’s head section. You can also choose the card type to use. We recommend using summary with large image. Pinterest uses Open Graph meta data just like Facebook. Make sure that you have open graph meta data box checked under Facebook settings. After that you just need to enter the site verification code provided by Pinterest. Simply visit your Pinterest account settings to add and verify your site. You will be provided with a meta tag that you need to enter here. On the Google+ tab, check the box to allow Google plus related data for posts. The second option for this page is to enter your Google+ Publisher page. If you have created a Google+ page for your business enter its URL here. Sitemaps are essential for any website. While its not a ranking factor by itself it does give clarity to search engines on the pages that exist and the hierarchy of your website. It is also the quickest way to get indexed and notify search engines about new content on the site..
Yoast SEO makes it easy to add an XML sitemap. First you need to make sure that the box that says ‘Check this box to enable XML sitemap functionality’ is checked. After that you need to click on the ‘User Sitemap’ tab and disable author/user sitemap. Lastly click on post type tabs, disable any post type that you don’t want to be included into sitemaps. By default WordPress SEO disables Media Attachments from sitemaps. If you are using a custom post type that you don’t want to be included, then you can disable it here. Repeat the same process for taxonomies. If there is a taxonomy that you don’t want to be included into sitemaps, then you can exclude it here. The advanced settings page allows you to configure breadcrumbs, permalinks, and RSS feed related settings. Breadcrumbs are great for internal linking because it defines a clean path or trail to the page you are on. These breadcrumbs also appear in search results giving your site extra advantage in the search. Simply check the ‘Enable Breadcrumbs’ box and rest of the settings will be displayed. WordPress by default adds a category base in each urli.e /category/. By checking the first box, you can strip that part from your category URLs. This is something that a lot of people want. But you can leave it unchecked if you do not want your category urls and page urls to conflict if they are the same name. Next feature is to enforce a trailing slash on all categories and tag urls. If you are one of the users, who have .html at the end of their posts, then you probably want to select this option. The next option is to remove stop words from permalinks. Stop words are common words used in plain language. Yoast believes that by removing these, you will create cleaner URLs but its your call on whether to remove these. Next option is to redirect attachment URLs to parent post. WordPress allows you to attach images and other media to posts. But all of those attachments get their own URLs which in most cases are unnecessary. Therefore by checking this box, you redirect all your attachment page URL to the original post URL. Redirect ugly URLs to clean permalinks option is not needed in most cases. We advise you to ignore it unless you know what you’re doing. The last option to configure on Permalinks page is canonical URL settings. We would recommend that you leave them as they are. Under clean up the head section you can safely check hide hide RSD links and hide WLW Manifest Links. The bulk editor allows you to edit post titles and descriptions in bulk. It makes sense to use it when doing manual edit of all pages, for example when launching a new site or a new set of products/services. In case you have have given the plugin access to your Google Webmaster Account (which is recommended), you can see all the links that have issues - 404 errors, soft 404 error, server access error; access denied error. These could then be rectified by either upgrading the Yoast SEO Plugin or by using another free plugin called Redirection. You should check these once or twice every month to see & fix all such issues. I hope that helps you set up the Yoast SEO Plugin and also gets you started on SEO. Please do follow our other SEO & Content Marketing Blogs here. In today’s digital world the key for your business to perform well online is to reach the top of the SERPs (Search Engine Result Pages) and for this to happen your website must deserve to be at the top (We have a slideshare on basics of SEO from an entrepreneurs’ perspective which may be of interest to you). With Google’s smarter algorithm the need for unique content along with SEO strategies has become a necessity. So has the need for your site to deliver best user experience in the particular niche. Fortunately there are a lot of free SEO tools online that can help you assess the work done thereby helping you achieve your SEO (and business) goals. The keyword planner tool in Google Adwords forms the basis of most SEO strategies today. This free tool from Google can be used to search keywords, ad group ideas and also get an understanding of how a particular keyword might perform. You can also get help in choosing competitive bids and budget to go with your SEO campaign. While this is a free tool it requires you to setup a free account with Adwords before accessing the tool. Keyword Eye is a free tool for keyword research and helps mostly in PPC/SEO campaigns. This tool can be effective during brainstorming of keywords. Keywordtool.io, provides about 750+ suggestions for every keyword you enter. Thereby enables quick identification of top keywords in less time. One of the most used free tool in the industry today, Ubersuggest provides a neat and organized list of keywords that many other tools fail to do. This one though not a tool, goes a long way in helping identify top keywords that are being searched worldwide. When searching for a particular keyword the suggestions provided by google gives an insight as to what users are looking for in the particular field. Simple shortcut to Incognito is Ctrl + Shift + N.
The site helps identify duplicate content within the site, be it in the meta-tags or content within the site. In today’s scenario where Google algorithms strictly check for duplication Siteliner is very beneficial. A special tool to check for copied content from other sites. More often than not bloggers are seen referring content from other sites and using them without any modification which is strictly against SEO rules. Copyscape can help detect any copied content to be placed within the site. Google and Bing have their own respective Webmaster tools that can help keep your site optimized and also help check the site’s indexing. Apart from this the tool also provides insight on website traffic patterns, reach, visibility, speed-metrics and authorship statistics. Moz is considered to be one of the pioneers of SEO and their open site explorer sites will help you understand the various off-page SEO techniques. With Moz open site explorer ou can gauge site’s influence, view subdomain, inbound links to the site, root domain and analyze the link pages. The tool helps analyze the performance of a webpage. Based on the speed at which the site loads you can quantify and estimate the performance on all devices. Pingdom Website Speed Tool helps check the time your website takes to load. It provides ample details on average load time and also provides suggestions to help improve the speed. As the name suggests, the tool helps create a robots.txt file which can be used to instruct the search engine about pages in your site that are allowed to be indexed. Apart from generating the file you can also enter pages that you want the search engine to not crawl without having to do manually. Ahrefs is a site explorer and backlink checker and is probably one of simplest yet effective tool available. It is well known for its ability to filter backlinks and referring domains. Can be useful in analyzing online strategies to compete with your competitors. A complete SEO service tool that shows results specifically on link building and domain-based metrics. The free services provided include Site Explorer, Backlink History tool and Keyword checker. This site will help you create a schema based on which Google and other search engines make sense of content in your HTML. For people new into SEO creating a schema might be difficult to grasp and Schema Creator will turn out to be a huge help for them. Useful in developing new SEO strategies. This tool shows how search listing will appear in Google and this search list can be downloaded for further analysis. This is a spidering (crawling) software that will show broken links in your website. It validates text links, images, maps, backgrounds and frames in your website. Wordpress has become an extremely common platform to submit content online. The Yoast Wordpress SEO plugin goes a long way in taking care of all the technical optimization and helping write better content in terms of SEO. Google Analytics offered by Google, is a service that provides detailed statistics about a website’s traffic and its sources. It also keeps track on the conversions and sales. You can look into our article on Google Analytics for more insight into using the tool. Are there any other free SEO tools you use that you feel should be on this list? Do let us know in the comments below. As part of our in-house knowledge sessions we have created a slideshare on the basics of Search Engine Optimisation from the perspective of entrepreneurs. It include insights on creating content for users, site speed, creating good quality links as well as influencer marketing & blogger engagement. We have also added our insights on how to track the results & ROI of your SEO & Content Marketing efforts. You may also be interested in reading our earlier blog posts on How not to do Search Engine Optimisation & 10 Free Apps for SEO, Productivity & Social Media. Our never-ending quest of being slim does not always serve the purpose. Especially when we are talking about search engine optimization. More than anything, thin content has proved to be a curse for digital marketers and search engine optimization specialists. A thin content page is a page that exists for the sole purpose for building traffic and no other purpose whatsoever. How do I know if my website has thin content? Any of the above factors can be a signal for the existence of thin content pages on your website. And mind it, in 30% of the cases it might not have been intentional yet you can find yourself at the wrong end of the spectrum. I am still not sure if my website has thin content. Want to re-confirm? Google Webmasters: It is another reason to start using the Google Webmaster tools. You get notifications from the Webmaster if your website suffers from the thin content problem. Google Analytics: Is your website or pages on your website having very high bounce rates – 80% or more? Then, it’s probably time for you to review why the content on these pages is not making the visitor’s stay for a longer time. Review back links: It pays to have a check to confirm the source of the back links coming to your site and the quality of those back links. Okay I have thin content on my website. So, how do I fix it? You can either close the game – If you are confident that the page is not adding much value to the website, then it’s a better idea to do away with the page rather than keep it and invite trouble. Take a power-booster and play on – If the page can add some value, then it might be a great idea to think through and come up with ideas to spice up the page so that it can engage visitors and make them spend more time to spend on the page. It would be a good idea to try and have more than 250-300 words on the page (obviously good & unique content), combine pages with similar content and last but not the least, avoid having thin or low-quality content in the future. The answer to how to do search engine optimization is not rocket science obviously. The above tips for search engine optimization will go a long way in helping out. At the end, just a couple of words: Give every webpage a value / role to serve for you. And indeed, this would value to your business in the longer run. A large number of people still consider Google+ to be a ghost town, sparsely inhabited and sans activity – not worth investing time and effort to create and maintain a presence on. If you’re one of them, it’s time to give this thought some serious reconsideration. In less than three years of its existence since its launch in the second half of 2011, Google+ has shown tremendous growth with the total number of registered users recently crossing the 1 billion mark and the number of active monthly users crossing 540 million. To gauge the growth in activity - 1.5 billion photos are uploaded every week and +1 is clicked more than 5 billion times a day. If these massive numbers are not reason enough for you to include G+ as part of your social media strategy, here are seven strong reasons why you must begin using Google+ as a business marketing tool. No other social network has the kind of web assets leverage that Google has. Think about it. Apart from being the world’s most used search network, Google owns one of the most popular browsers in Chrome, one of the most-used mobile Operating systems in Android, the largest video sharing website in YouTube, the world’s largest email service in Gmail, one of the most popular photo-editing platforms in Picasa, a versatile cloud-storage application in Google Drive and the most popular mapping service application in Google Maps. Google is the leader of the online world and is already using all its might to ensure Google+ gains popularity and acceptance. Apart from this, the use of Google+ also provides seamless integration with all other Google services. The boost to SEO is one of the biggest benefits of Google+. Almost all SEO experts will tell you that content on Google+ is indexed faster than other content across the web and any links on G+ positively impact SEO results. This is because unlike most other social platforms like Twitter, where all links are placed with a no follow tag, Google+ links are follow links and G+ pages are treated as web pages. This increases website visibility and accumulates Page Rank and thereby, by actively participating on Google+, you are increasing the visibility of your brand. A recent scientific correlation Study by Moz to discover the qualities of web pages that have a strong association with ranking high in Google, shows that Google+ posts have multiple SEO benefits unlike other social platforms. The study also found a strong correlation between Google +1s and higher search rankings, clearly indicating that sharing content on Google + has the potential to influence search rankings in many ways. When a user searches for your Google+ optimized business online, the results show the most recent G+ post, the number of followers, profile name and image, any +1 recommendations from friends and Google map directions to the business. And, if the person searching is already following your business on G+, the brands content appears even more prominently in the search results. Apart from the right hand space on the Search results page, where Google+ information currently shows up, Google is also experimenting with including recent posts, most relevant to the search query keyed in, in the Search results space itself. The example below shows a relevant Google+ post of a play school, displaying in the results for the Search query “play school in Velachery”. Google Authorship includes the author’s photo and byline with the search snippet on search results pages. It is activated by linking the author’s Google+ profile to the website he is a contributor to, through an email address on that domain. Including the author’s credentials lends reliability and trustworthiness to the content and enhances ranking on Search Engine Results Pages(SERPs) while also improving click-through-rates, thereby increasing the reach of your content and traffic to your site. Unlike Facebook, which constantly tweaks its Edgerank algorithm to decide which of your updates will be seen by your fans, updates on Google+ are currently unfiltered and chances of your updates reaching your fan-base are higher on Google+ than Facebook. Also, unlike Facebook, whose primary source of revenue is Ads, Google’s primary source of revenue comes from search advertising and it presently does not need to force users to pay to gain visibility on Google+. The above does not mean that Google will never attempt to monetize Google+ through ads. Google is already testing paid +Post ads for Google+ content and apart from Google’s experience with Adwords expected to make the Ads a great product, the possible game changer would be access to the whole of the Google Display Network through Google+ Ads. Hangouts are probably the best and most important feature of Google+. Think of it as a free webinar tool where you can include upto 9 participants and automatically broadcast live to your Google+ page as well as your YouTube Channel. Hangouts are an excellent means of communicating with clients and potential clients to educate them about a product/service and share ideas and case studies. The world’s second largest social network is here to stay. So, get on it, establish your presence and learn how you can use it effectively to grow your brand. The proverbial early bird always gets the worm and being early to Google’s party is sure to have its benefits in the long-term. Every online business understands that SEO plays a major role in their profitability by bringing in organic (un-paid) traffic to their websites. The focus has always been on what “to do” to ensure high search engine rankings and hence enhanced traffic. However, in order to do great SEO, it is equally important to know what “not to do” with SEO. While it is true that including keywords in your content will help in a better ranking, forced inclusion of keywords in your content or in Alt tags of your images can do more harm than good. Keywords should appear smoothly in your content as you write it and stuffing your content with keyword is definitely crossing the line. As a thumb rule, if your content doesn’t read well as your reading it, you’ve probably overused your keywords. Trying to force keywords on your site in a color which merges with the background or in any other way to ensure it is seen by search engines but not by site visitors is an old trick that search engines have become very good at getting hold of. Attempting to redirect users to a different page than the search engine saw is a strict no-no. Freshness of content and its recency plays a pivotal role in search engine ranking algorithms. Making regular updates to your website could therefore help in improving your rankings. However, trying to duplicate your content in an attempt to fool search engines will sooner rather than later get you on that dreaded blacklist. Low-quality or shallow pages which do not provide users with much added value (such as thin affiliate pages, doorway pages, cookie-cutter sites, automatically generated content, or copied content) will also get classified as spam. Links play a good role in SEO results and are supposed to be earned by websites by virtue of excellent content. But trying to deceive search engines with artificial or manipulated links; purchasing or selling links, exchanging them or participating in any of those grey link schemes doing the rounds can attract strict penalty. Remember, quality links matter more than quantity. Matt Cutts, head of Google’s webspam team in a recent Webmaster Help Channel video said it would be better for SEOs to leave Meta tag descriptions blank than have duplicate descriptions. This may seem inappropriate to a lot of SEOs but that’s just what reality is. As Cutts added, unique descriptions for some pages definitely do matter but it’s not worth investing time and effort in coming up with unique descriptions for every single page on your site. Google's Webmaster Guidelines discourage forum signature links and consider it spammy. However, Cutts says that relevant comments on topically relevant sites is absolutely fine as long as it does not form the main part of one’s link building strategy. Having a large portion of back-links coming from blog comments can raise red flags with Google. Doorway pages (simple HTML pages that are customized to a few particular keywords and programmed to be visible only to search engines) trick search engines into giving these sites higher rankings. Once clicked on, they lead to a site totally unrelated from the search query. Search engines not only ignore these pages and domains but penalize those using them. Site speed is one among many factors that Google takes into account when it is deciding how to rank sites. Using a low quality DNS provider may not only adversely affect your SEO but also increases the chances of spammy content on your website, which could result in you being blacklisted by search engines. Search Engine Submissions are a thing of the past. It is not required by search engines and serves no practical purpose. Don’t waste your time on it. These are the techniques one must definitely avoid in order to stay in the good books of search engines. However, one must also be aware that search engines constantly change their algorithms and what may seem to be a correct or “White hat SEO” technique today may be classified a black hat technique tomorrow. To give you an idea of how unpredictable it can get, Google runs about 40,000 search evaluations a year and it made 665 changes to its Search Algorithm in 2012 alone. That is almost two changes every day! This makes it increasingly difficult, even for the most competent and expert SEOs to keep track of and to incorporate these changes into their work. So, invest your SEO budget rightly in a value-added long-term SEO strategy and focus on getting a good return on your investment instead of trying to find ways to bypass the system guidelines and get yourself in trouble. Google and other search engines spend millions of dollars and hire the best brains with the best knowledge in the space to ensure that they provide their visitors with the best search engine results. So remember, just in case you think you’re smart, search engine Bots are a million times smarter. Don’t do SEO just for the sake of doing SEO. Don’t head into Black Hat territory. It’s just not worth the risk. For information on the right SEO techniques, read our posts on the key aspects of executing an SEO plan and the key takeaways from the Google GDayX-Chennai conclave. This conflict between your mind and Google’s search engine can be easily avoided if you master these 10 tips and use it effectively. This will also save your valuable time and optimize your search results. You get to read a lot of contents online in the form of news articles, blog posts, tutorials, e-books etc. Have you ever found yourself taking a pause in the middle of reading a cover story only because the word or the phrase was so alien to you? In this case, you would either reach out to a pre-installed dictionary software or Google it by randomly choosing a website from the search results page one. Instead, remember this simple syntax and let Google tell you the definition, origin of the word and synonyms. You can also listen to the pronunciation of the word. Use define: in front of any word to learn the definition of it. Quotes are very useful if you are looking for something specific on your search results. Imagine this scenario. You remember the title of an article very well, but you vaguely remember the website’s name. Using quotation marks in your search could be really helpful in those cases. Check out the below example where the search for Digital Marketing Trends for India in 2014 without using quotation marks results in a lot of websites suggestions which have these words arranged in any manner. If you include quotation marks for the same sentence, you get totally different results, the results you desired for. So, if you are looking for a specific phrase and you want only those websites which have the same phrase in the exact order, use quotes to refine your search results. Of late, we have been witnessing a lot of religious protests against films leading to censorship by several state governments across India based on the Cinematograph Act. So, you decide to read about it thoroughly to avoid feeling lost in the conversations happening on social media platforms. If you plainly search for “Cinematograph Act” in Google, you’ll get editorials and op-ed columns of popular publications as results. Instead, use the following syntax to zero in the particular file type you are looking for to read about the topic in-depth. You can search for specific file types by adding the 3-letter abbreviation of the file type. E.g. PDF, PPT, XLS, DOC. Please note that Google search is not case-sensitive. If you search for either New Delhi or new delhi, your results will be the same. So, you can stop being conscious to case-sensitive words in Google search. Search overlooks punctuation too. You can ignore it as well and save time. This technique is useful for all digital marketers who are researching for competitors in a particular space. It helps to find websites which have similar content. For instance, if you are shopping on Flipkart and want to find out similar e-commerce websites, this tip could help you. Using the syntax related: followed by the website address will give you websites similar to that in search results. This trick helps you to include or exclude a specific word in search results. For example, if you want baking recipes with egg as an ingredient, you need to highlight the word Egg by using quotation marks in the search. Have you ever struggled to find something specific within a website? This syntax could be your solution. For example, if you want to read editorials on The Hindu website and you find that the search box in the website doesn't work. Fret not. Use the syntax site:website to search within a particular website. Got an interesting Google search tip? Please share with us in the comments. SEO for Indian website: What is it going to take? With paid advertising getting more expensive by the day, SEO is a critical part of any digital media plan. Not many businesses in India are doing a good job at SEO, which leaves an opportunity for young businesses to capitalise on the growing digital market. So, where does one start? Below are the key aspects of SEO of executing an SEO plan. 1. Pre-work to SEO: The first step is to analyse competition and where one stands relative to them. Importantly, one needs to finalise the target keywords by combining data on (a) focus areas for the business and (b) intensity of competition for those keywords. Google Adwords Keyword Tool it the best way to research relevant keywords. It's a good practise to place some paid ads to test the effectiveness of the keywords. Tools like SEOMOZ are also useful in assessing competition and their strategy. Search engines value what consumers value - which is, relevant and original content. Professional reviews or reviews from consumers, blogs, articles, case studies will add significant value to a website. 3. Off-page SEO: Given the intense competition, on page SEO is usually not enough to start ranking high. Especially in India, some sectors, such as ecommerce, have seen a lot of off page link building. A link is considered a "vote" by google, about a websites popularity. While it's easy to go for "paid links", the path is very tricky and businesses deploying such strategies have been severely penalised by google in the past. Building links from high quality sources (relevant blogs, mass media, consumer blogs and social media) is a much more viable and long term strategy. Finally, For local businesses, it critical to rank high on Google Places. More about that in a future column. Relevance: How relevant is your page to the search query? Are the search terms part of your page title and page content? Popularity: Have you got links from other websites for the content related to the search term? What's the ranking of such sites? Recency: How recently was your content posted? Is it old material which needs to be refreshed or is it up-to-date relevant material? SEO continues to be a excellent customer acquisition channel and any business investing in it will see returns in 3-6 months, depending on the competition in the category. Google recently reported that India is its fastest growing market in the small and medium business category for Google Adwords. Small and medium size enterprises (SME) in India are increasingly using the digital medium to target local customers and generate more leads or sales. Google's advertising platform, AdWords can be crucial in targeting advertisements at prospective customers searching for a product/service. When targetting a specific customer in a specific locality or to a customer searching for a specific product there is no better means to taget than Adwords. Facebook advertising may be a way to build the brand from a long term perspective but Google Adwords is excellent for short term sale and conversions. Knowing the number of SMEs in India (which Google puts at 47 million) its no wonder that India has surged ahead to become the fastest growing SME market for Google. So have you tried it for your business yet?